Kicking off the festival with a bang is Mahealani Sims-Tulba! She will be singing the national anthem, Hawaii Pono E and God Bless America. 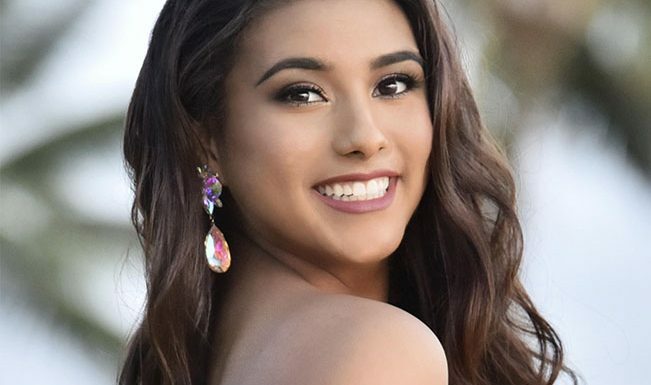 Mahealani is is a 2018 graduate from Sacred Hearts Academy. She will be attending the University of Hawaii at Manoa this spring. She is the author of the children’s book “It’s Ok to be Different” and the founder and CEO of the non profit organization, BRAVE Hawaii and the daughter of local comedian, Augie T.
B.R.A.V.E. Hawaii is a local non-profit organization, founded and created by Mahealani Sims-Tulba in 2013. The name “B.R.A.V.E” is an acronym that stands for “Be Respectful and Value Everyone.” Having been a victim of bullying herself, Mahea works hard in the community to bring awareness to students against bullying, by speaking and reading to schools while promoting values of kindness and respectfulness, goal setting, personal development and motivation.